As Minister for Intellectual Property I am clear that future generations should understand the ins and outs of intellectual property (IP). We have fast become a knowledge based economy. The UK now invests more in ideas than machinery or buildings. IP is a key part of turning our innovation and creativity into economic growth. And this is important in areas ranging from aerospace and engineering to fashion, pop music and digital health. Yet for our innovators of the future there is a catch. Only 40% of our university students believe they know enough about IP to be of use in their future careers. Couple this with a changing job market where a degree does not guarantee a graduate level job and more students than ever are starting their own business. It is more important than ever that they have the skills they need to make the most of their creativity whether as employees or as business owners themselves. Last week I attended an event in Bristol - ‘Students and IP – Creating an IP savvy workforce’. 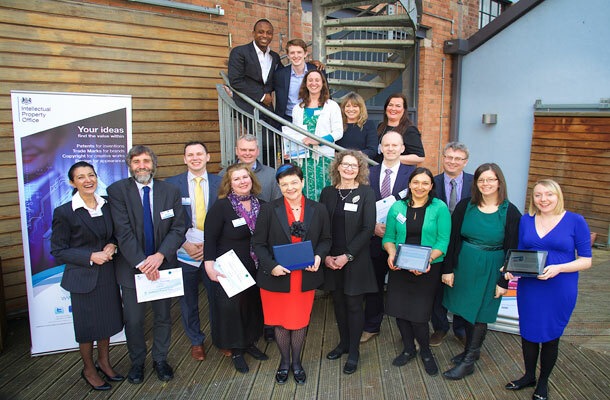 This event was a celebration of the entrepreneurial spirit of our future graduates and marked the launch of a new IPO initiative to support universities. I was joined by a selection of the UK’s most enterprising university lecturers, students and industry representatives. I understand Kathryn Penaluna of University of Wales Trinity Saint David and Gill Smith of Dyson gave excellent presentations which unfortunately I missed. To support Universities, I launched IPO’s very attractive IP Tutor. Try it for yourself. This new E-learning tool can boost awareness of IP amongst students and help add IP to the curriculum. IP Tutor covers all the basic forms of IP and provides different pathways to knowledge and success. So, whether you are a student in a STEM subject or one of the humanities, specialising in business or law, or a creative arts student – there is an IP Tutor option for you. The launch of IP Tutor. • Developing Students as Change Agents to further enhance the IP and Enterprise Culture at the University of Southampton. In this project, student eChamps (that’s Enterprise Champions) will develop IP resources for their faculty during summer internships and go on to spread the word on IP to fellow students during term-time placements. 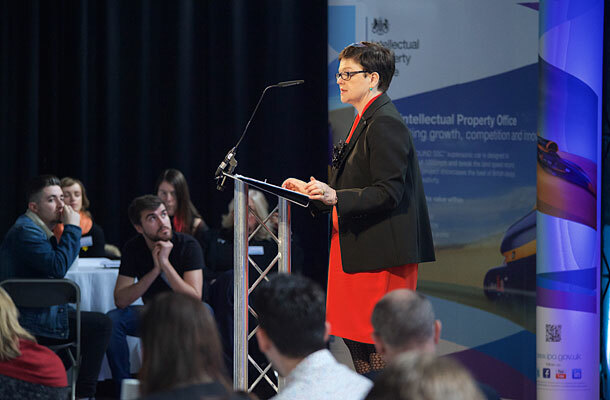 • The iCreate project at the University of Winchester will have student teams deliver IP clinics for local businesses within the creative industries. These clinics will promote awareness of IP, help businesses identify their IP assets and provide information on accessing professional support. Now is the time to take action to support and develop the skills of the people who will be running our future economy. Having met some of some of the UK’s most enterprising lecturers’ at the event I know that IP will play an ever more important role in modern university curricula. Thanks to the IPO’s new tools and ideas students and lecturers will be able to turn their ideas and creativity into business ventures and commercial success.